After an extensive development programme, Welsh-based Riversimple Movement Ltd has this week unveiled the Rasa, a fully functional road-legal engineering prototype of the Company’s first two-seater hydrogen powered road car. Revealed appropriately within the Congestion Charge zone in central London, Riversimple’s hydrogen Rasa prototype is a lightweight two-seater city coupe, capable of covering up to 300 miles on just 1.5kg of hydrogen. A ‘Beta’ trial of 20 cars for public testing with prospective customers is proposed for later this year, with the final Riversimple production model expected to appear on the market from 2018 onwards, sold through a ‘sale of service’ ownership model that is anticipated to be the first of its kind in the new car sector. This innovative ‘sale of service’ initiative will offer motorists a fixed monthly fee and mileage allowance, anticipated to be similar in expenditure to leasing and running a new family-sized hatchback, with Riversimple covering all repair, maintenance, insurance and fuel expenses. This unique offer means that customers will never actually buy the Rasa and experience the burden of depreciation, but rather they will simply exchange or return the car at the end of the ownership contract period. 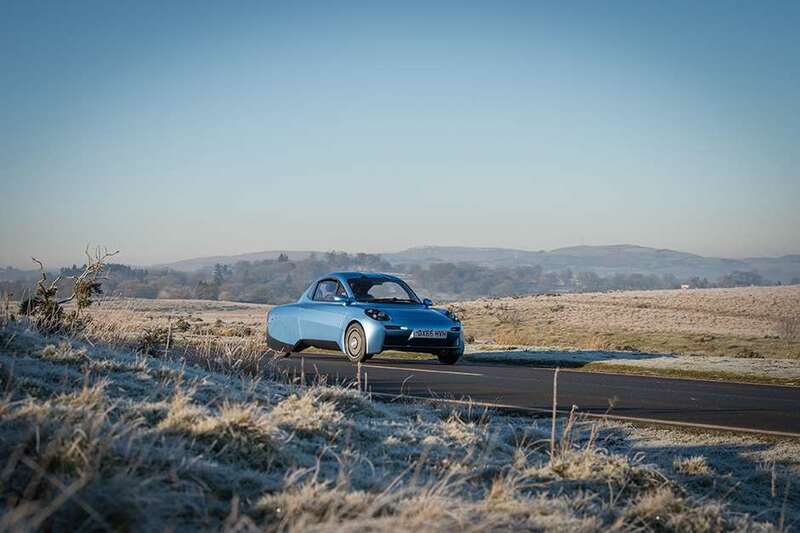 Supported by a £2million grant from the Welsh Government in 2015, Riversimple says that every aspect of the Rasa has been tailor-made and interrogated for lightness, strength, affordability and safety, to produce a vehicle that will maximise hydrogen as a fuel source and minimise pollution. Led by Riversimple’s architect founder, Hugo Spowers, the Rasa has been engineered by an experienced and skilled team, sourced from some of the world’s leading carmakers, Formula 1 teams and aerospace engineering companies. With a hint of Honda’s original low-emission 2000-2006 Insight coupe about its lines, the Rasa has been styled by Chris Reitz, the former design chief for the hugely successful new Fiat 500. The Rasa’s unusual name is a nod to a blank sheet of paper – Tabula Rasa meaning ‘clean slate’ in Latin. The Rasa has a total kerb weight of just 580kg – nearly half that of a regular small car – and features a carbon composite chassis and only 18 moving parts in the entire powertrain. Riversimple will adopt an open-source approach to its technology and componentry to encourage the proliferation of its technology and economies of scale within its sector, along the lines of the recent Italian OSVehicle Tabby and French Ampool electric vehicle projects. In motion, hydrogen will pass through the Rasa’s small 8.5kW fuel cell (the size currently used in forklift trucks, equivalent to 11hp), where it will combine with oxygen to form water and electricity to drive the motors positioned in each of the four wheels, giving the car four-wheel-drive. More than 50 per cent of the kinetic energy produced under braking is recovered and turned into electricity to boost the car’s acceleration via a bank of super-capacitors. The result is a range of up to 300 miles on 1.5kg of hydrogen, resulting in an estimated fuel economy equivalent to 250mpg, and with a top speed of 60mph. 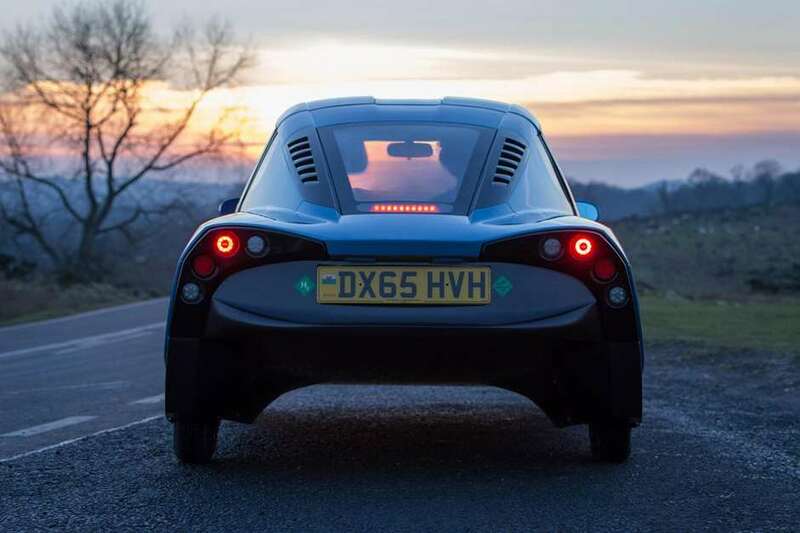 At around 40g CO2/km, Riversimple anticipates that the Rasa will have the lowest carbon emissions for any vehicle ‘well-to-wheel’, with water the car’s only output. Want a Dino For Under £100,000?